Could the Badgers be on the brink of getting more exciting uniforms? The Wisconsin Badgers seem set to make a big move with the school’s apparel. According to the resolution, UW would receive an annual cash contribution of $4 million from Maryland-based Under Armour on top of $3.3 million in product for the school’s 23 sports programs during the first year of the deal. During the Badgers’ contract with Adidas, they received somewhere between $750,000-$800,000 each year in cash compensation. 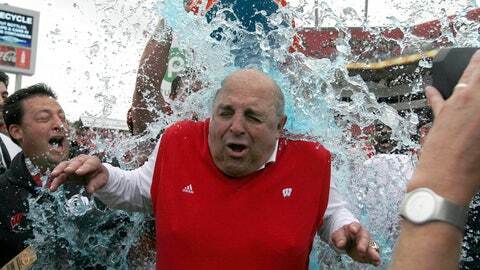 Back in April, Athletic Director Barry Alvarez admitted they were talking to Under Armour about the move. Talks seemed to pick up in February when the Badgers played at Maryland. It seems like Adidas has been losing schools left and right. Are tougher times ahead for the "three stripes" or will they find a way to rebound?